Jeri Ingram is a former nationally ranked junior tennis player. After her junior years of play she went on to play tennis for the University of Maryland where she was the 1989 ACC Champion and ACC MVP. Jeri played on the professional WTA Tour for eight years and retired in 1996. She now serves on the USTA Mid-Atlantic Section Board of Directors as Vice President and is also the Chair of the USTA National Community Tennis Association (CTA) Committee. Jeri is a USTA High Performance Tennis Coach, and a PTR Junior Development and Adult Development Certified Professional Coach. She is currently the Executive Director and Developmental Coach for the Metropolitan Tennis and Education Group and Assistant Coach at Saint John’s College High School. Malcolm Greene is a USTA Certified High Performance Tennis Coach, and a PTR & PTA Professional Certified Coach. He is currently the Head Coach for the Metropolitan Tennis and Education Group, a 4-Star Tennis Academy staff coach and the Head Coach at Saint Johns College High School. He played junior tennis and achieved a national ranking. He also played college tennis at North Carolina Central University where he was Team Captain and the #1 player. In 2014 Malcolm received the USTA Coach of the Year Award and the USTA MAS Tournament Director of the Year Award. As the JTT Coach for DC, he led the 2015, 14u Advanced JTT Team to a National Championship. Malcolm formerly taught elementary school for fifteen years, five of those years were spent in the DC public school system. Shelley DeLon is a competitive tennis player that played tennis as a junior, on the college level and currently plays adult leagues. She was ranked as high as #3 in the MAS section as a junior. Upon graduating from the University of Virginia her interest and desire to play the game grew to include an interest in coaching. Shelley has been a USTA Certified Instructor and a PTR Junior Developmental and Adult Developmental Certified Professional for the past 5 years. She coaches tiny tots, beginners, intermediate, advanced, and high performance players. 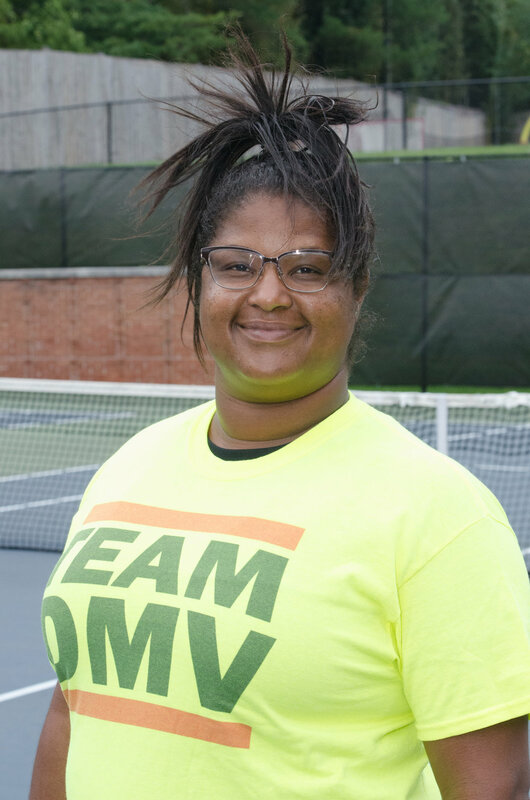 She is a Junior Team Tennis Coach for D.C. and a tennis instructor for Metropolitan Tennis and Education Group. Malcolm Michael-Byron Berry played Division 1 for Morgan State University. He is currently ranked number five in Men's Singles 5.0 Division. He continues to train, practice and compete in order to one day soon play professional tennis. Malcolm has coached youth tennis for 5 years. He has also taught adult and youth tennis lessons for the Department of Parks and Recreation and for the USTA in DC. He is currently sponsored by YTEX string Inc and strings racquets himself.